Hello Monday! The temperature is rising (a little) and the winter seems to have it’s last grasps on us all. Philip has to go to Ottawa this Sunday for work can we say “road trip!” He enjoys the 5 hour drive since it’s mostly country driving and he gets to shoot some images. Today was a chilli kind of day. Chilli’s are always met with scepticism in our house especially vegan since everyone other than myself doesn’t like kidney beans. I really wanted to use sweet potatoes in the recipe, another one of my husbands favorites (NOT) but I took the risk. Instead of traditional kidney beans I used black beans. My husband always likes rice with chillies but today I was determined to use quinoa. 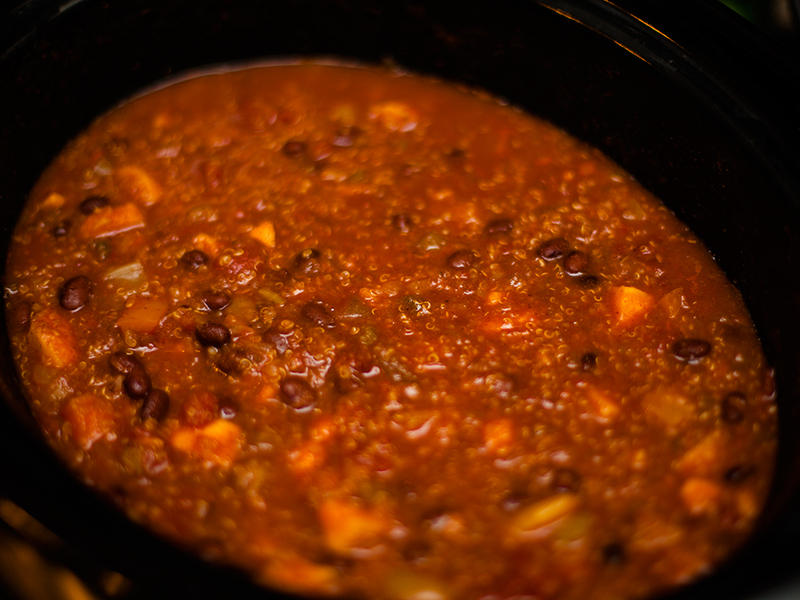 I came up with this recipe for vegan Sweet Potato Quinoa & Black Bean Chilli. 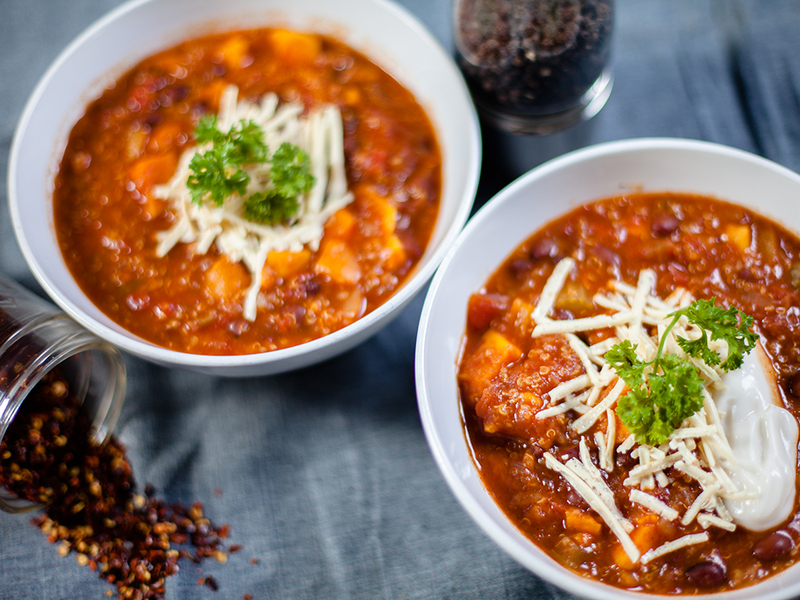 Add all ingredients (except additional salt and pepper and toppings) to a larger slow cooker. Cook on low for 7-8 hours or on high for 5-6 hours. That's it! Taste and add additional salt and pepper if desired. Serve with assorted toppings. Keeps refrigerated in an airtight container for about 3 days. I slow cooked this chilli in a crockpot, it was left on low all day while we were both away at work. We came home to a spicy chilli aroma throughout the house. 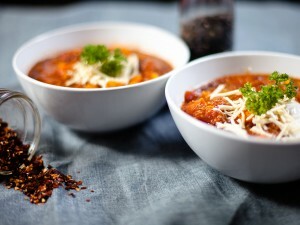 Everyone knows the longer you leave chilli cooking the more flavorful it will be. 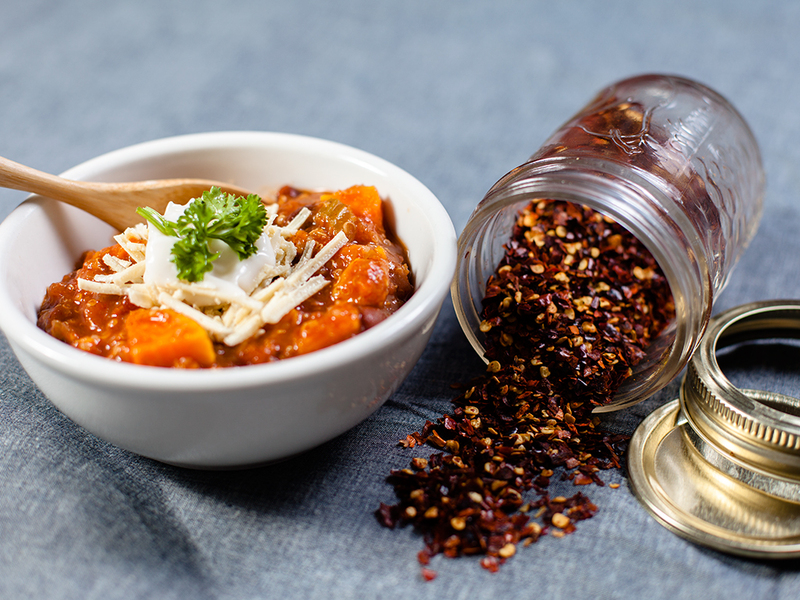 This chilli turned out to be a great hit with everybody, even the one that doesnt like sweet potato really enjoyed it. 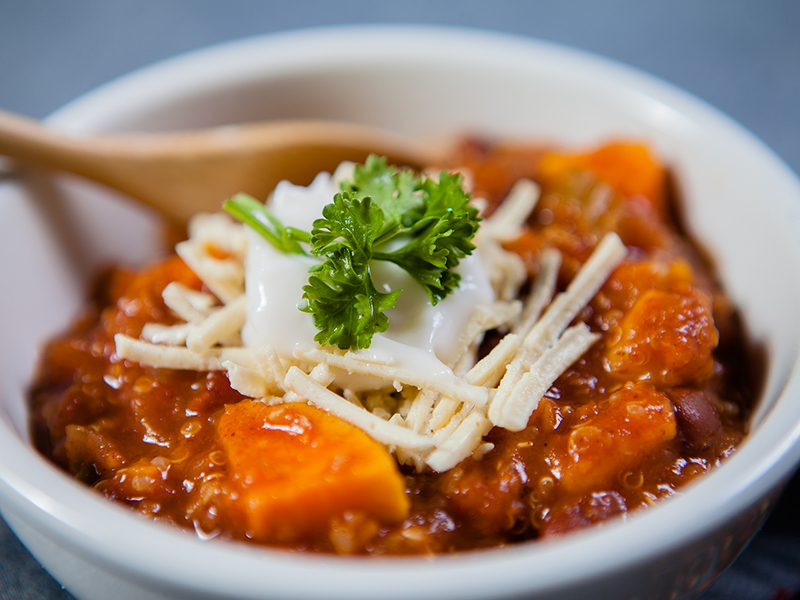 Top this Sweet Potato Quinoa & Black Bean Chilli with your favorite toppings, mine was topped with plain coconut yogurt and vegan mozzarella cheese.